Schneider Electric solutions for PV power plants, commercial buildings and residential buildings combine proven products with the kind of support only a global company can provide. Our balance-of-system solutions include everything you need to efficiently distribute and manage locally generated solar energy, from panel DC output to the grid connection. 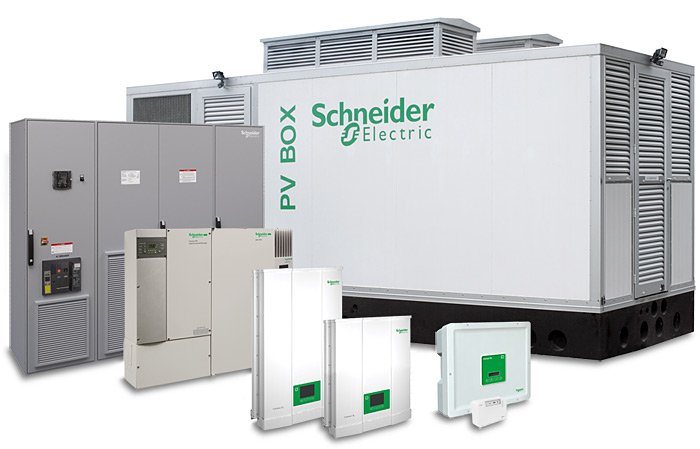 Schneider Electric solutions for photovoltaic applications include everything you need to efficiently distribute and manage locally generated solar energy, from panel DC output to the grid connection.